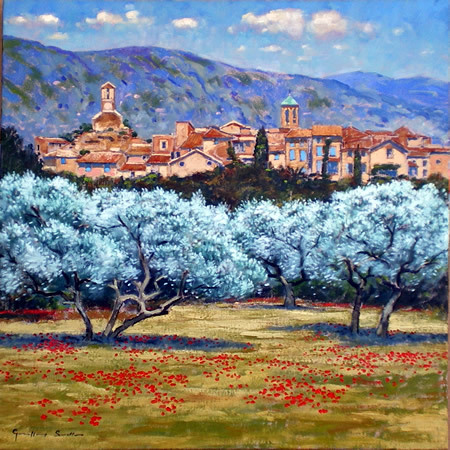 Lourmarin is a beautiful and lively village with lots of restaurants and art galleries, also a great weekly market to visit. 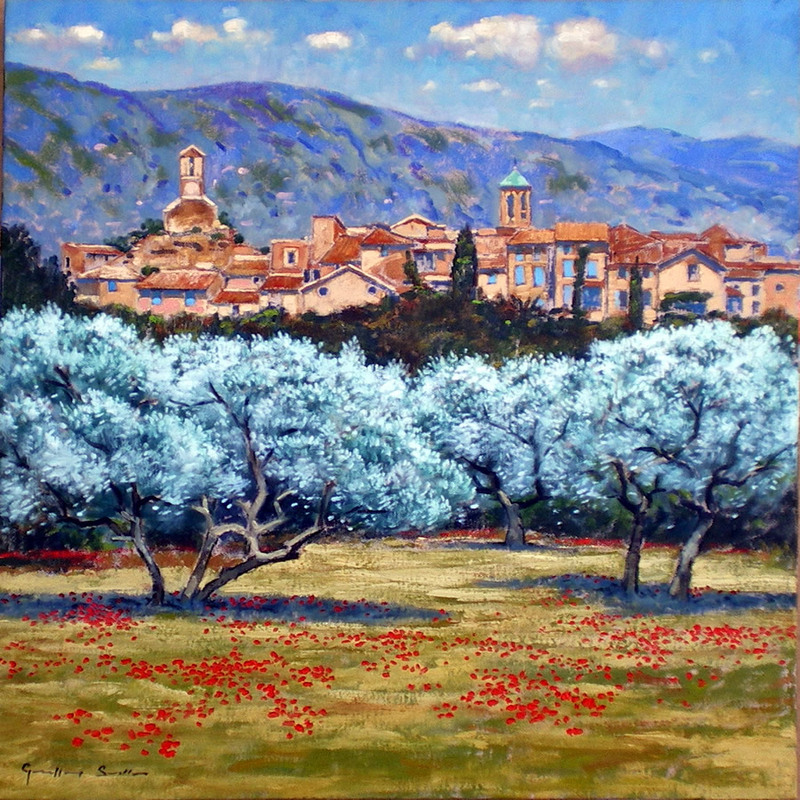 I painted this attractive view, with the backdrop of the Luberon hills, on the roadside leading to the Renaissance chateau. The light catching the tops of the moving olive tree leaves made them appear quite light in tone.